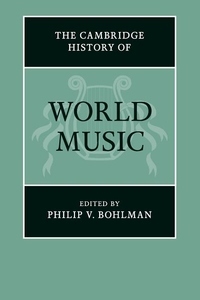 Scholars have long known that world music was not merely the globalized product of modern media, but rather that it connected religions, cultures, languages and nations throughout world history. The chapters in this History take readers to foundational historical moments - in Europe, Oceania, China, India, the Muslim world, North and South America - in search of the connections provided by a truly world music. Historically, world music emerged from ritual and religion, labor and life-cycles, which occupy chapters on Native American musicians, religious practices in India and Indonesia, and nationalism in Argentina and Portugal. The contributors critically examine music in cultural encounter and conflict, and as the critical core of scientific theories from the Arabic Middle Ages through the Enlightenment to postmodernism. Overall, the book contains the histories of the music of diverse cultures, which increasingly become the folk, popular and classical music of our own era.